Ohioans are increasingly feeling the effects of diabetes as thousands of people suffer from the disease, and many others may have diabetes and not know it! It is estimated that one out of every three children born after 2000 in the United States will be directly affected by diabetes. In Ohio, approximately 1,334,918 people have diabetes. That is why the American Diabetes Association is so committed to educating the public about how to stop diabetes and support those living with the disease. Family Link is for any family that has children with type 1 diabetes. Through various free social events, connect with other families in a fun atmosphere. Camp Korelitz was established in the early 1970s and has served thousands of campers with diabetes. Hosted at an American Camping Association certified camp, this woodland setting is a wonderful place to commune with nature just outside of Cincinnati where campers will enjoy traditional camp activities in addition to diabetes care, management and confidence. Learn more about Camp Korelitz here. Interested in having the American Diabetes Association at your event? Contact us! The Ohio Office is happy to work with local organizations to host health fairs and speaking events. 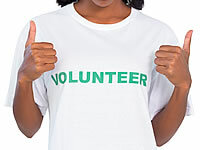 Please note that we are a very small staff and utilize the help of volunteers. If you are a medical professional or diabetes advocate, we are seeking dedicated individuals who are interested in representing the Association through speaking engagements. We take care of logistics, you deliver an important message! Please join our Speakers Bureau for a very rewarding experience. A group of passionate individuals who want to be a part of our mission by providing support to the Association's local events, awareness campaigns and educational outreach strategies while also offering a social/support network for those affected by the disease.